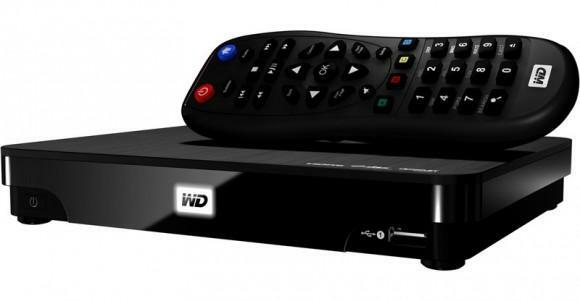 Western Digital have announced the new WD TV Live Hub, a media streamer with a whopping 1TB of storage. The Live Hub will stream any of your content from your PC or Mac to your HDTV thanks to its support for DLNA, while its impressive specs mean it can stream 1080p HD video from any device that can connect to it, in a variety of different formats. In an effort to be more Web-focused, the Live Hub also offers some Web-based widgets, including ones for Flickr, Facebook and CNN. Compared to Google TV’s complete embracing of the Web, though, WD’s effort seems a little weak. Media streamers like the Live Hub fill an odd space in the home entertainment market, and personally I think their days are numbered. The point of a media streamer is to play your content (videos, tunes and photos) from your PC onto the devices that are capable of playing it back much more impressively (your HDTV or Hi-Fi). Technically, most of them do this very well, streaming content in many different formats, and connecting to many different devices. The problem has always been the user interface. The user interface is the part of the media streamer that you use – it’s the screen on the telly and the remote control you use to access your media and to play it. Unfortunately, this has always been crudely implemented, with the result being that media streamers have only ever been niche devices, loved by geeks, but not the mainstream. Now with the likes of Google TV and Apple TV, there are new shiny interfaces onto all your media from two companies who really know what they’re doing with software. Both Google TV and Apple TV offer fantastic interfaces, with Google TV in particular offering a seamless Web and TV interface that makes browsing your media a snip no matter where it’s stored. So the WD TV Live Hub really has its work cut out if it’s going to compete with Google TV and Apple TV. At $199.99, it’s $100 cheaper than Google TV, but $100 more than Apple TV. Personally, I think it’s a good device, but it’s much too little, and it’s already overshadowed by its bigger rivals. If a company wants to make a successful media streamer now, they’d better make sure its interface is at least as good as Apple and Google’s offerings. Currently, only Boxee seems to be doing that, but the other manufacturers need to step up if they want to stay in the game.